A man has pleaded not guilty to the murder of a shopkeeper in Rotherham. 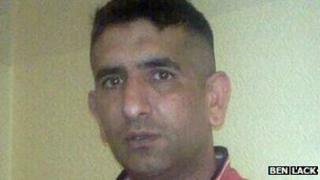 Father-of-three Parvaiz Iqbal, 40, was found stabbed to death at his shop on Grosvenor Road in Eastwood on 15 October. Naeem Mehmood, 27, of Herringthorpe Valley Road, Rotherham, appeared at Sheffield Crown Court via videolink from Wakefield Prison. He also denied the attempted murder of Saeed Hussain. Mr Mehmood is due to stand trial at the same court in March.